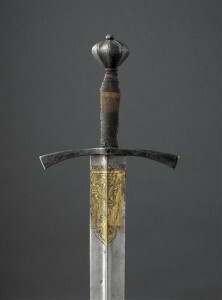 The Frederick III sword 15th C.
Currently on display at the Cluny Museum in Paris, France. 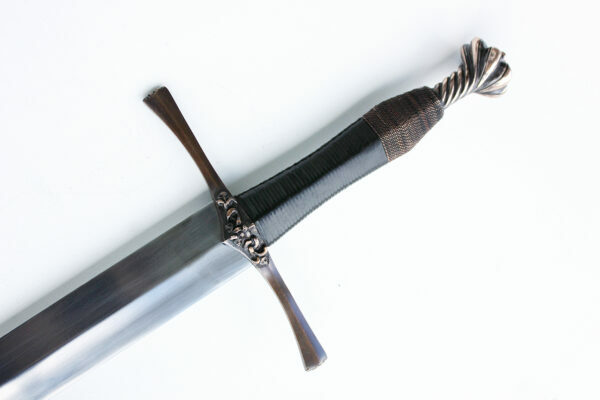 Frederick The III rd sword, 15th C.
Frederick III’s sword is widely regarded as one of the most beautiful medieval swords of the later part of the middle ages. 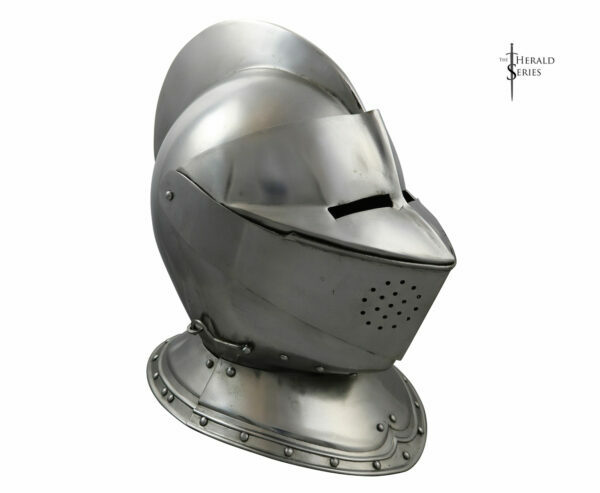 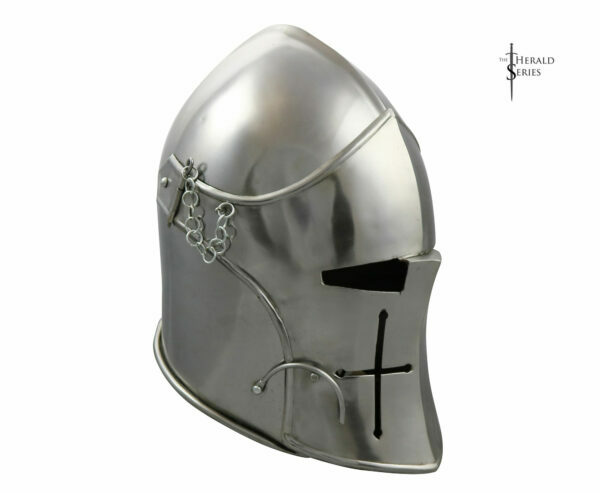 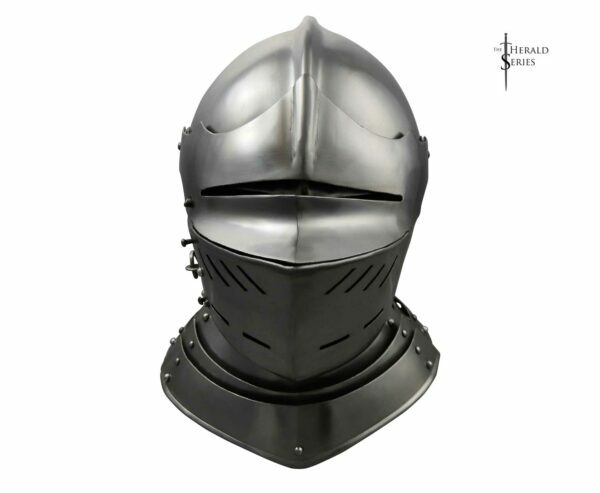 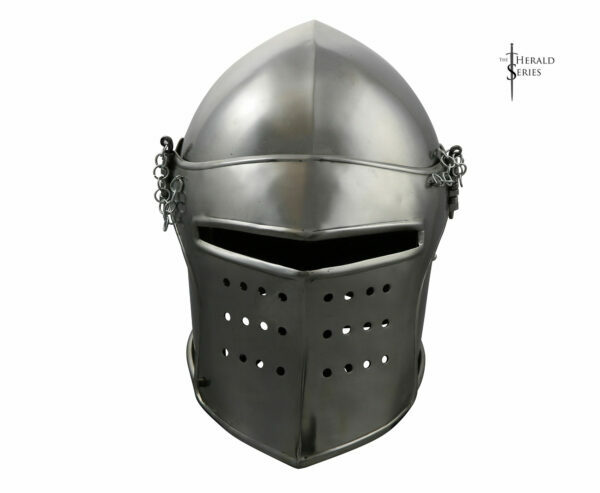 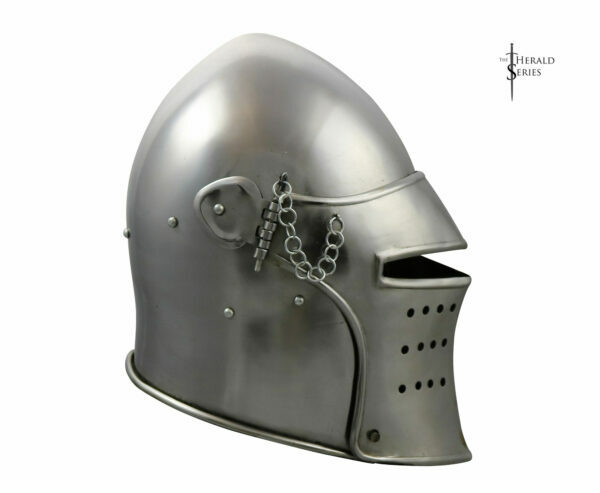 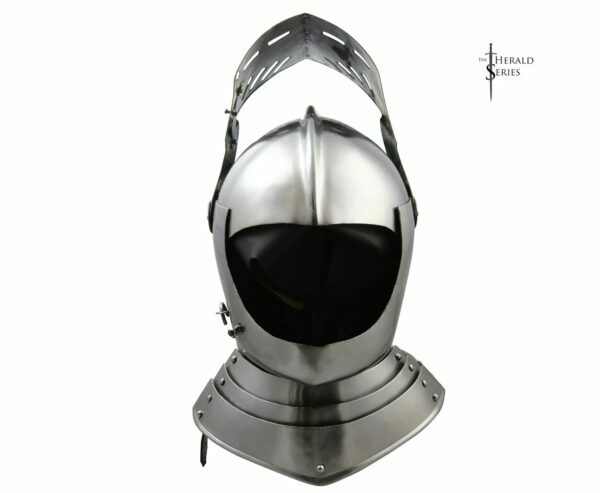 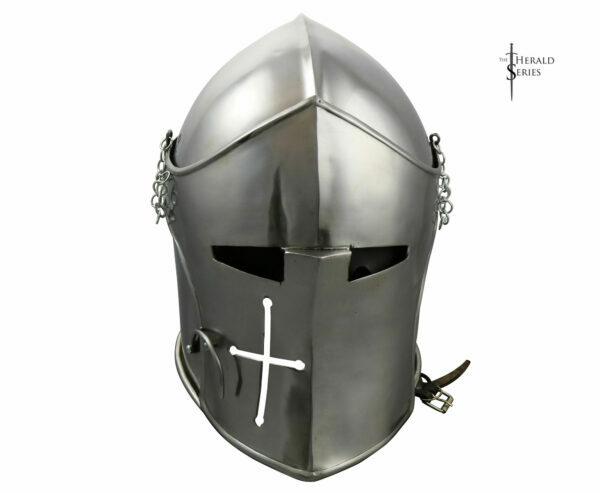 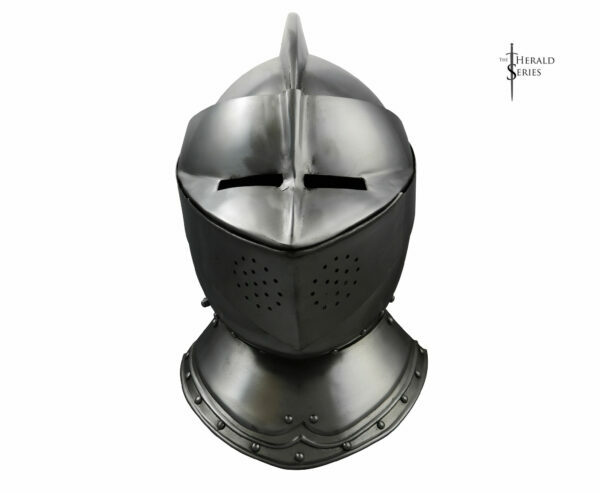 The beautifully crafted guard and pommel was inspired by the Gothic architecture of the 15th C. Made in 1440, the sword has a crossguard shaped in a similar manner to the sword of St. Ferdinand at Seville. 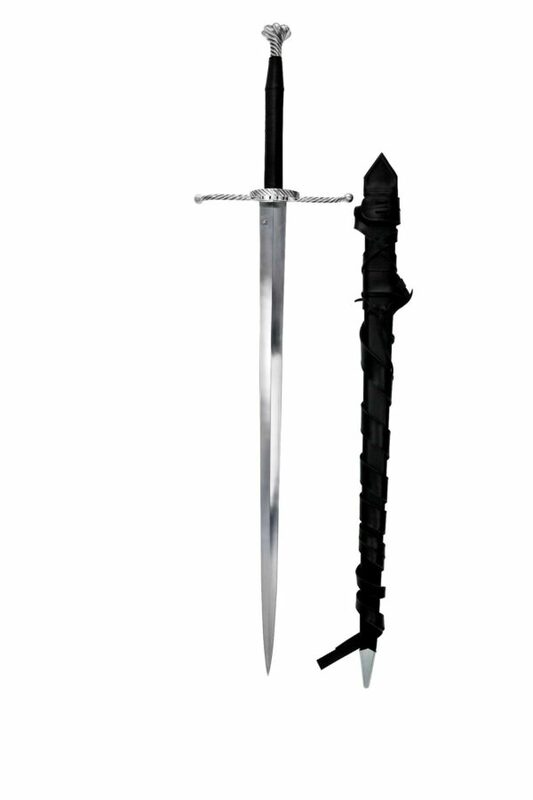 The highly detailed guard with longitudinal ribs running along the middle, gained favour among sword designers of the late medieval period. 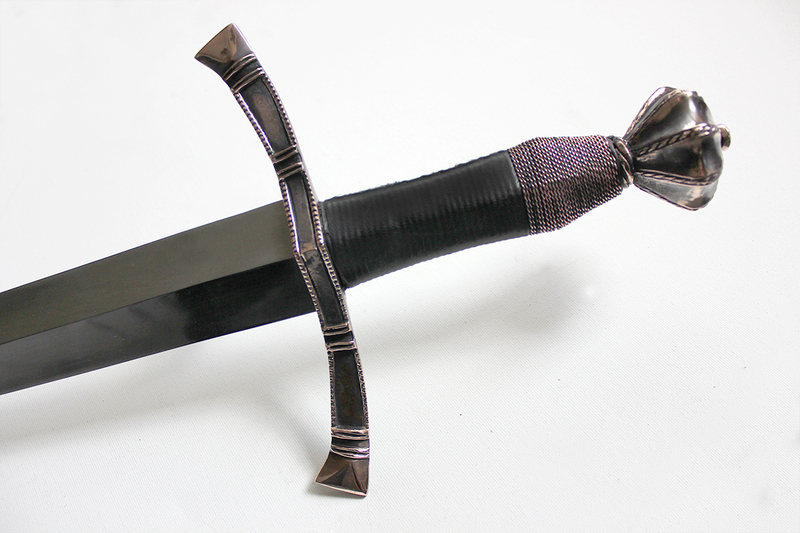 The designs were common among the swords of the nobility during the high middle ages. 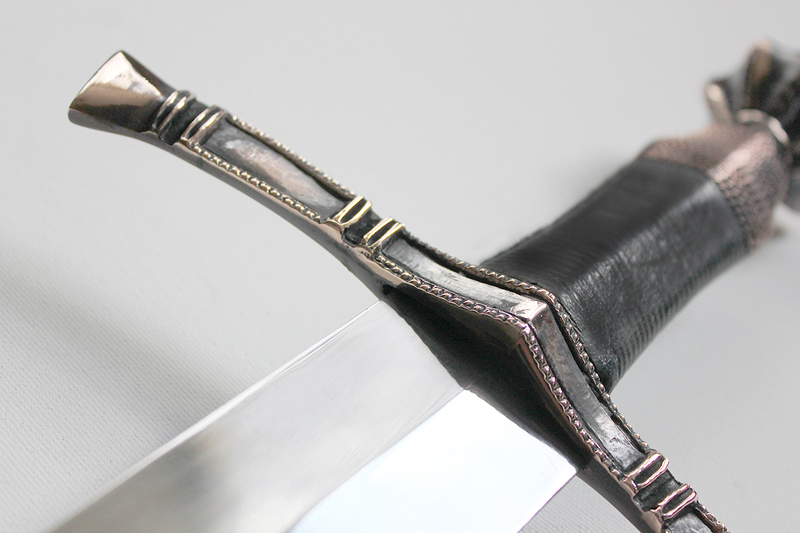 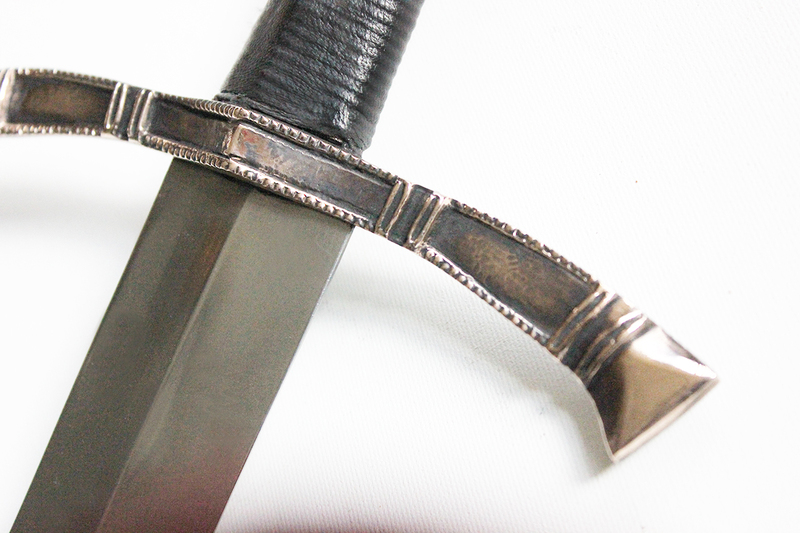 The Frederick III sword is hand forged in India from EN-45 Spring Steel and tempered to a Rockwell of 48-50. 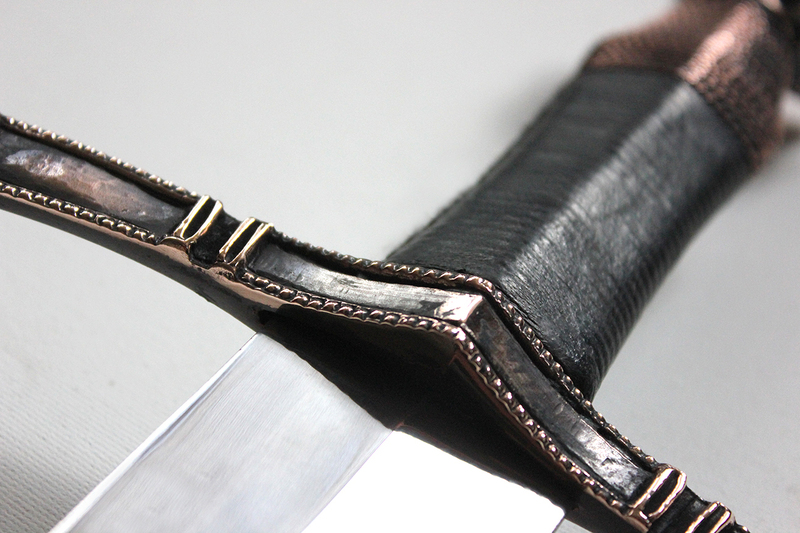 The Herald Series is crafted under Darksword supervision and guidelines, to create a balance between affordability and functionality. 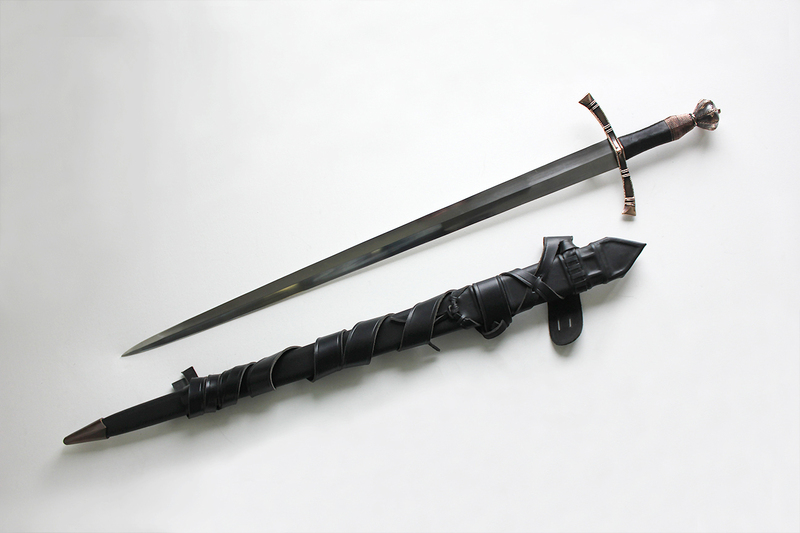 While forged in India, the Herald Series Sword handles are then completed in the Darksword Armory shop and fitted with scabbards. The Frederick III sword is a fully functional sword that can be used for actual combat, and for cutting targets when ordered sharp. 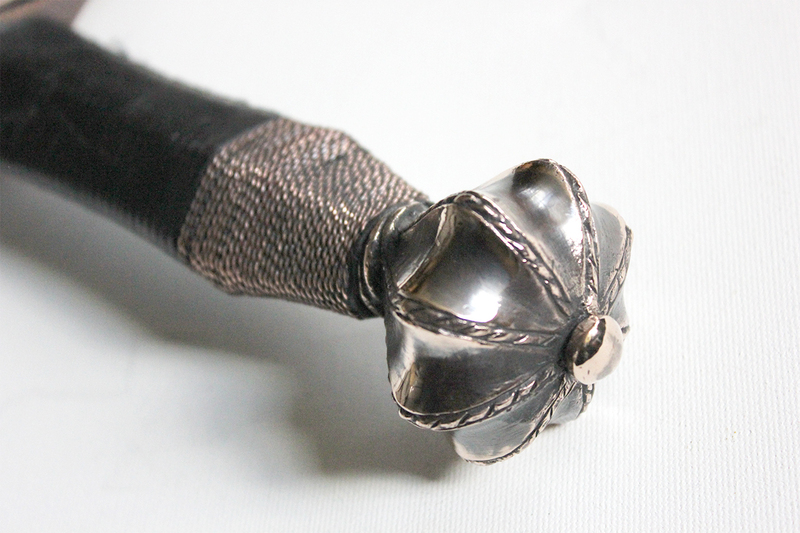 The guard and pommel have meticulously been reproduced in Copper. 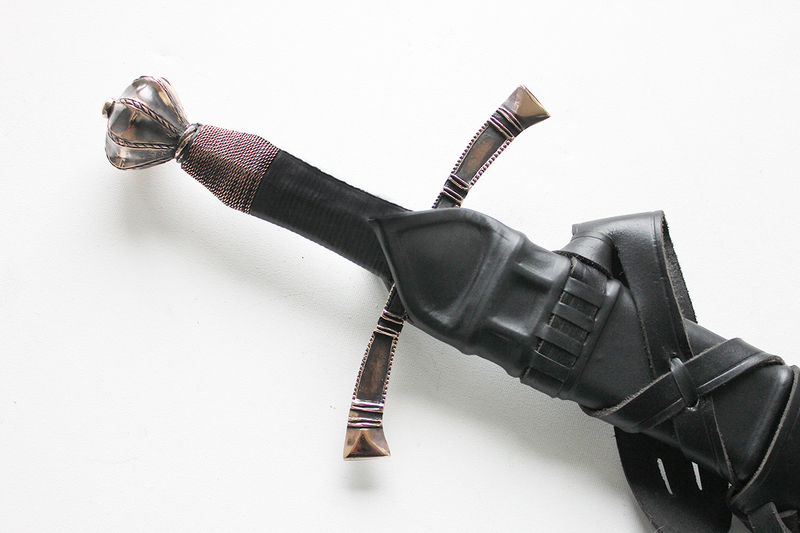 The tapered diamond shaped grip is made of Oak, and wrapped in black leather and matching copper wire. 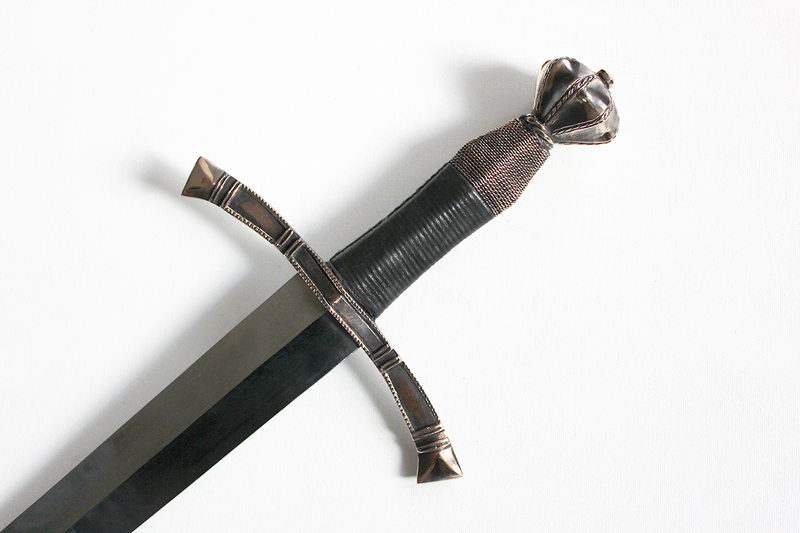 Original Frederick III sword at the Cluny Museum in Paris, France.